This is a key step in setting up your Fathom account for your organisation. 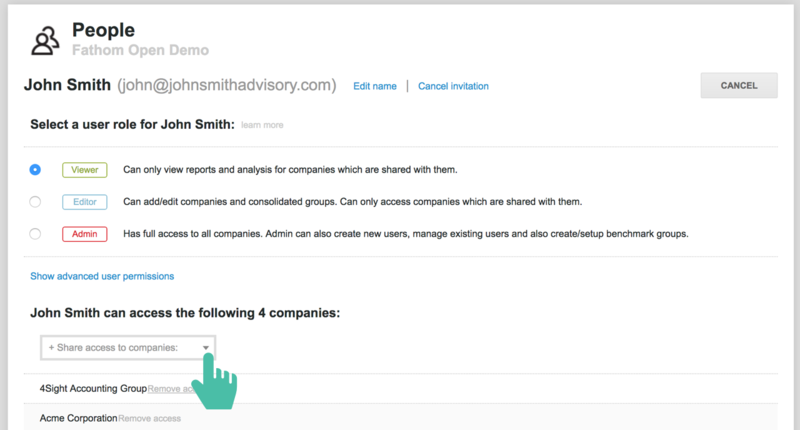 In this step, you can share access to Fathom's analysis and reports with other users. Other users may include your colleagues, staff, board members, investors, and/or clients. To share access, a person must first be added to your Fathom organisation. To invite a person to be a user in your Fathom organisation, send them an invitation. Only 'Admin' users are able to invite other users in to Fathom. 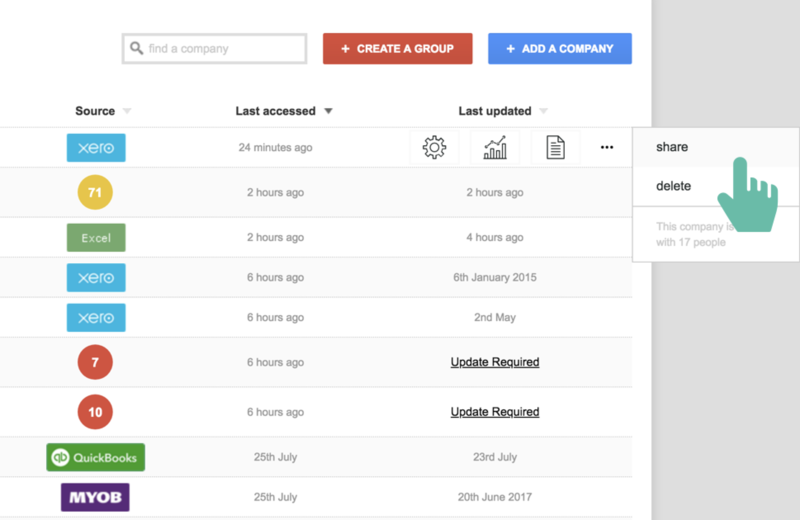 To revoke access to a company, simply click 'Remove Access'. Or to share access with additional companies, simply select a company to share access with.